After a nerve-wracking week, each of us needs a respite. Some find it in sports, chat, food. 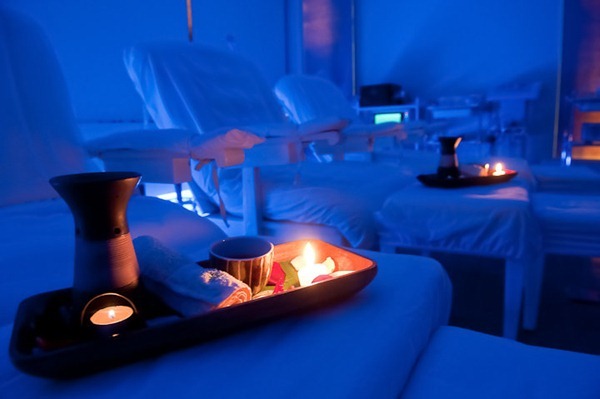 But one day, me and my friend chose to find a rest in a more literal sense - Massage. 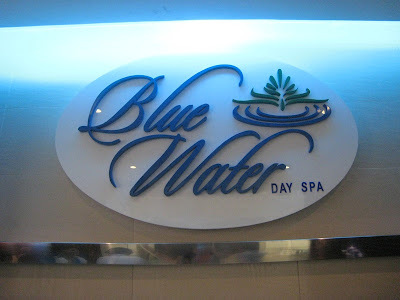 After eating our hearts out at Contis - we headed at Blue Water Day Spa for a 2-hour regimen of our favorite service... Traditional Filipino Massage. Package includes some few minutes of ventusa (process of putting a glass on your back part and shoulders to take away nodules aka lamig) then the rest will be dedicated entirely for a head to toe massage. Noise. Not sure if it's just a coincidence but we can hear the laughing and bickering of the spa's personnel. Our massage room is just across their quarter so I suppose that's the reason. Price. It's a little over compared to the regular spa around the city. Ambiance. One step and you'll be guessing if you're in another dimension. Location. Their Makati branch is just beside Mom & Tina's. Just a gander from Greenbelt 5. Music. Worth complimenting since their music really induces us to relax and just drift. In fairness, the masseuse will ask you if the pressure is just right or you want it modified. Verdict: Overall, I'll personally recommend this to my friends. For a relaxing, buzz-free, afternoon delight - am sure Blue Water Day Spa will be a haven for tired and weary bodies out there. -CMK.